The members of our staff team work from five countries under the guidance of our Steering Committee and Board of Directors. Tomás is Co-Founder and Executive Director of the Global Catholic Climate Movement, working to help the Catholic Church turn the Laudato Si’ call into bold action for climate justice. 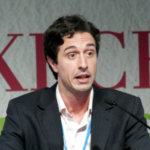 He was previously a Fulbright Scholar at the Harvard Kennedy School, served in the UNFCCC doing political outreach and comms for the COP21, worked as a marketeer with Google for the Latin American and Southeast Asian markets, and co-founded a faith-based nonprofit, Potencialidades, doing social justice work in the slums of Buenos Aires. 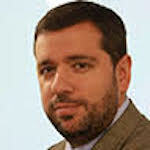 He completed a Master’s degree in Public Administration with a concentration in climate policy at the Harvard Kennedy School and a Master’s degree in Public Policy at Universidad Torcuato Di Tella. He grew up in Buenos Aires, where he had his spiritual home with the OFM Franciscan friars, and lives in Rome with his wife, Vicky. Christina oversees all the operations and campaigns of GCCM, aiming to empower the Catholic community to bring Laudato Si’ to life. She brings over 15 years of leadership on environmental and social justice issues for a variety of non-profit, government and educational institutions. She is passionate about exploring the intersection of spirituality and social justice and supporting people’s spiritual transformation through contemplative practices and engagement in social and ecological justice. She has degrees from Yale University and the Graduate Theological Union in Berkeley. She currently lives in Boston with her husband Steffano and rascally toddler Malaya Clare. 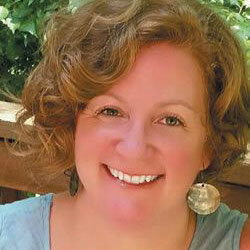 Reba Elliott is the Communications Director. She brings over a decade of nonprofit leadership to the organization, including managing U.S. campaigns for the Laudato Si’ encyclical. She lives in central Virginia with her husband and children. 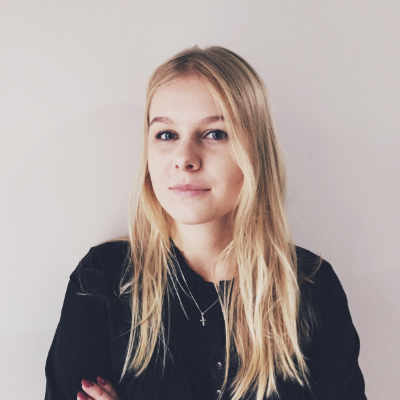 Laura s’est jointe au GCCM en mars 2019 en qualité de directrice du programme de développement durable. Ce programme vise à donner à l’Église, à ses membres et à ses institutions les moyens de réduire leur empreinte écologique. Laura a travaillé pendant près de 10 ans en tant que directrice de la responsabilité sociale des entreprises pour une chaîne hôtelière internationale ainsi que 6 ans dans diverses fonctions au sein de collectivités locales britanniques. Originaire de Londres, elle habite maintenant à Royal Windsor, au Royaume-Uni, avec son mari Charlie et leur jeune fille pleine d’énergie. Katie s’appuie sur plus de dix années d’expérience en collecte de fonds dans l’enseignement supérieur, les services sociaux et les organisations liées à la santé. Elle a obtenu une licence de l’Université DePauw et un Master en Administration à but non lucratif de l’Université North Park. Elle a étudié les questions environnementales au Botswana durant son premier cycle universitaire. Elle a également obtenu l’accréditation CFRE (Collectrice de fonds agréée). Elle réside près de Chicago avec son mari, leurs deux chats et leur chiot. Marisa Vertrees is the Campaigns Director. She was the Social Justice Director at St. Charles Borromeo Catholic Church, where she also assisted the Peace and Justice Commission of the Arlington Diocese. After that, she was an organizer with the U.S. faith community for the ONE Campaign, a global anti-poverty organization. 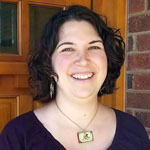 She is passionate about engaging people in social justice and care for creation, and brings over 12 years of organizing work and ministry to the organization. She lives just outside Washington, D.C. with her husband and three children. 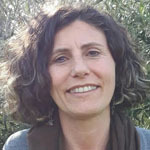 Cecilia Dall’Oglio is our Divest-Invest & European Programs Coordinator. 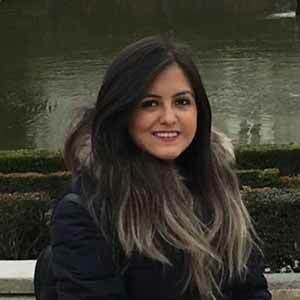 Cecilia came on late January 2017 to coordinate our Divest/Invest efforts as well as outreach across Italy and Europe. 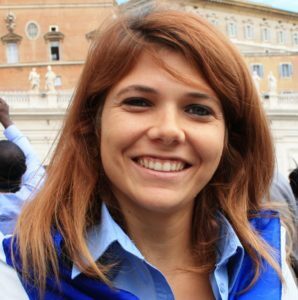 She brings over 22 years of service in FOCSIV where she was responsible for campaigns on sustainable lifestyles and climate justice (lobbying and advocacy) in collaboration with CIDSE and others Italian Catholic associations and part of the Justice and Peace Commission of the Italian Bishop Conference. She works on a secondment based in the FOCSIV office in Rome. 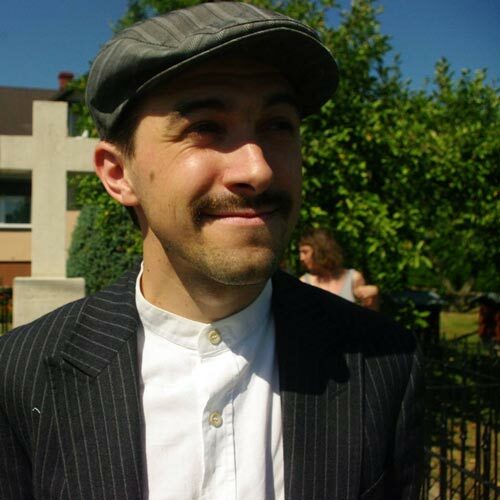 Mateusz is an assistant professor in the theater department of the Warsaw Academy and a director cooperating with theaters in Warsaw and Poznan. 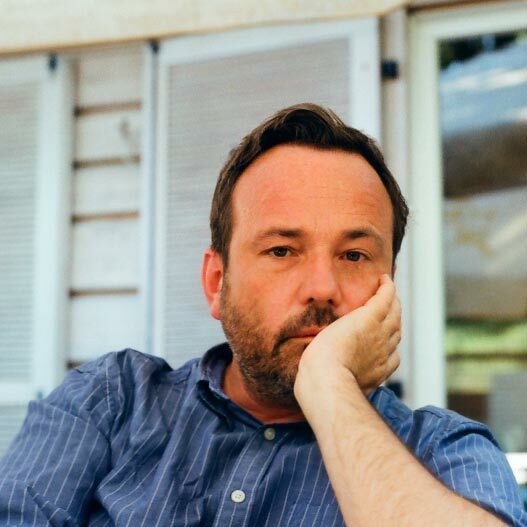 His work has won prizes at the Polish Feature Film Festival and Teatroteka Fest, and was nominated for an Orły award. He is a member of the Polish and European Film Academy, president of the Parliamentary Education Foundation, and a long-standing collaborator with Polish and international non-governmental organizations. Mateusz is a graduate in philosophy of the University of Warsaw and the directing department of AT Warsaw Drama Academy. 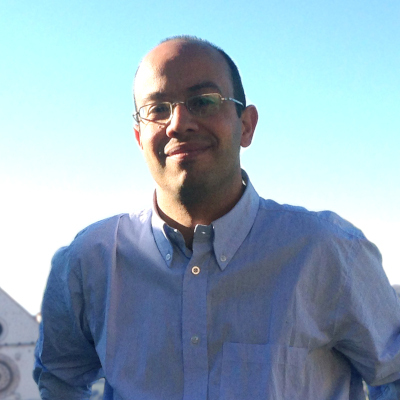 Igor Bastos serves as GCCM Campaigns Coordinator for Portuguese Speaking countries. 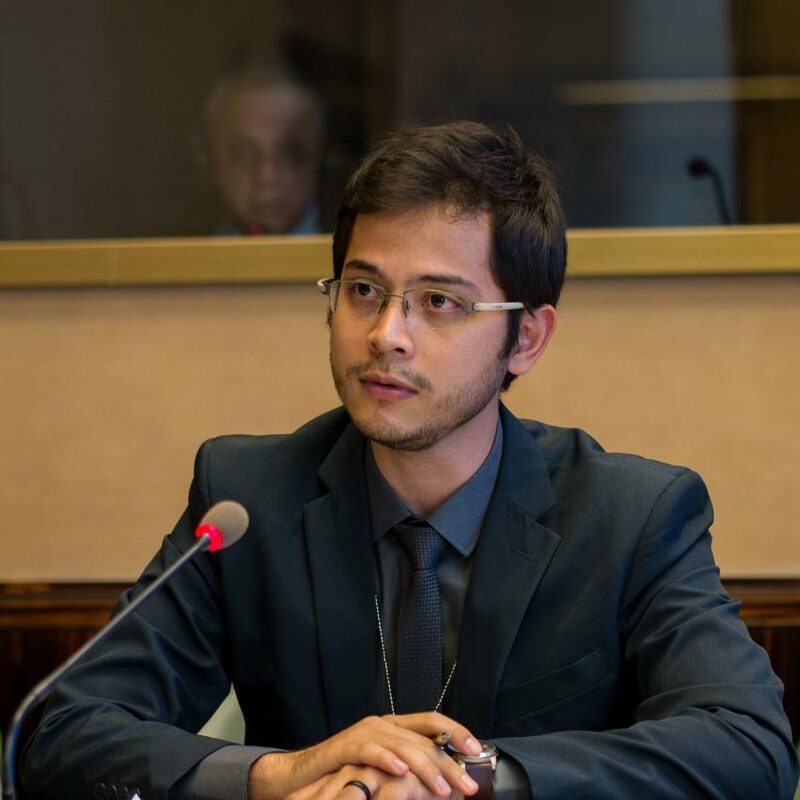 He is Secretary of Justice, Peace and Integrity of Creation (JPIC) of the Youth Franciscans of Brazil and member of the board of SINFRAJUPE (Inter-Franciscan Service of Justice, Peace and Ecology). For the last five years he has supported the homeless and landless through the Franciscan Action Ecology and Solidarity (AFES) and also collaborates with Franciscan International. He graduated in Civil Engineering from the Federal University of Uberlândia. 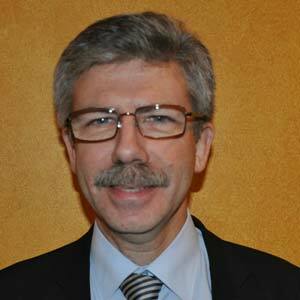 He currently resides in Uberlândia, Brazil, where he works for GCCM based in the office of AFES. 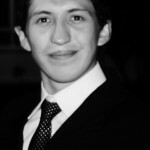 Fabián serves as GCCM Campaigns Coordinator for Spanish Speaking countries. He is from Ecuador and live in Quito, where he works for GCCM based in the Caritas Ecuador office. He has collaborated with different Catholic institutions in Ecuador and has studied business and international relations at the Pontifical Catholic University of Ecuador where he participated in the University Latin American Ignatius Leadership Course. 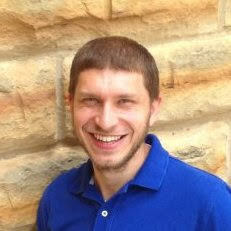 Mateusz serves as Programs Coordinator for Poland. He has 10 years of experience in social justice campaigning. He is a co-founder of the “Folkowisko” Association and the Polish Humanities Crisis Committee. He was also an initiator of an economic education program “Labour Market: User’s Guide.” He holds a PhD in Theology and Religious Studies from the University of Nottingham. Being passionate about Jesus, he is sure that our encounter with God’s supernatural power can bring about a new heaven and new Earth where justice dwells. 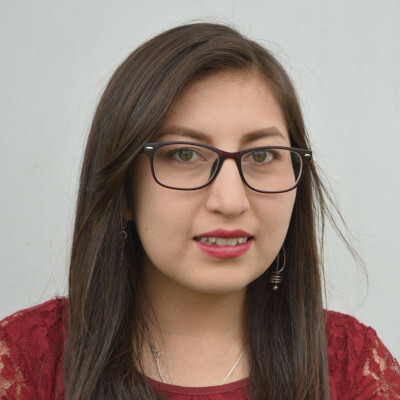 Doménica serves as the Communications and Operations Coordinator, working from the GCCM office in Quito, Ecuador. Doménica has a bachelor’s degree in Multilingual International Business and International Relations from the Pontifical Catholic University of Ecuador. She speaks Spanish, English, and Italian. She has worked with GCCM since 2016. Alexandra Aguirre occupe le poste d’adjointe aux finances et aux opérations. Elle a fait du bénévolat avec les Salésiens sur les hauts plateaux d’Équateur, où elle a appris à respecter et à aimer la nature. Alexandra est titulaire d’un baccalauréat multilingue en commerce international et en relations internationales de l’Université catholique pontificale de l’Équateur. Elle travaille au bureau du GCCM à Quito, en Équateur. Piotr contribue à tisser des liens avec les dirigeants locaux à travers la Pologne, à animer des ateliers et à représenter la branche polonaise du GCCM dans les médias. Il est également météorologue professionnel et s’intéresse particulièrement au changement climatique. Tout en rassemblant des connaissances scientifiques, passionné par l’écologie intégrale telle qu’enseignée par l’Église catholique, il œuvre pour une plus grande implication des communautés confessionnelles dans le souci de préserver notre maison commune. Antonio aide les pèlerins d’Assise à approfondir leur expérience du Laudato Si et du Cantique des Créatures. Architecte de formation, il a conçu et construit des bâtiments à faible impact environnemental avant d’assurer le suivi urbain et environnemental des sites pétrochimiques en Sicile et le suivi des installations hospitalières en Italie afin de réduire les émissions. Pour le diocèse d’Assise, il a enseigné l’italien aux demandeurs d’asile et a servi de guide spirituel pour le Sanctuaire du Renoncement, dirigeant la première prière œcuménique pour la création. Marié à sa merveilleuse épouse Angelica, il a deux fils fantastiques, Francesco et Emanuele, et un chien idiot à l’air idiot nommé Jumpy. Magdalena étudie au département de théologie de l’Université Cardinal Stefan Wyszyński, où elle se concentre sur l’accompagnement et la médiation sociale. Elle siège au conseil d’administration de la Life Surfers Foundation, qui travaille avec les jeunes dans sa ville natale. 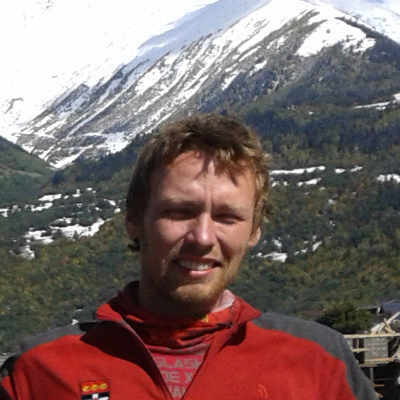 Gabriel serves as Campaign Coordinator in Spain and manager of GCCM’s online fundraising campaigns. He is a Secular Order Franciscan brother. He is married and a father of two children. He has experience as a fundraiser, speaker and in digital marketing. Gabriel is the CEO of Católicos en Red (catholic fundraising agency) and Pazybien.es (a Franciscan inspirational website). He holds degrees in theology and philosophy from Argentinian Catholic University (UCA), and in sociology from UNED (Spain). Top (left to right): Danny Sheehan, Fr John Leydon, Allen Ottaro, Marie Venner, Patrick Carolan, Verna Rainers. Middle (left to right): Dan Misleh, Sara Nelson, Jacqui Remond, Sr Sheila Kinsey, Amy Woolam Echeverria. 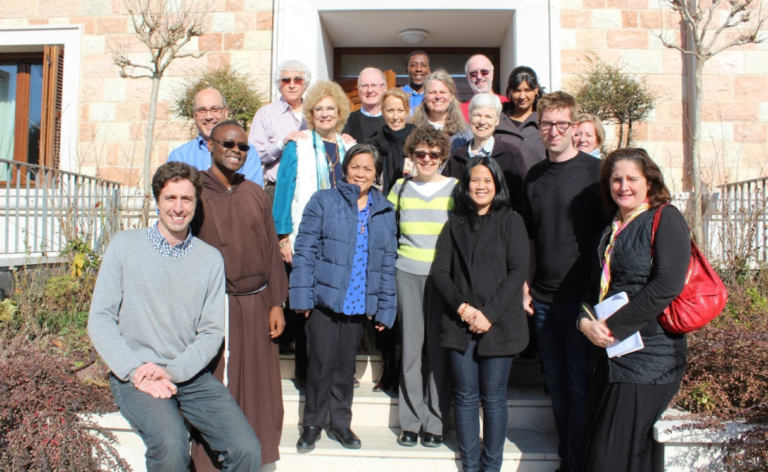 Bottom (left to right): Tomás Insua, Br Ben Ayodi, Lou Arsenio, Marianne Comfort, Christina Leaño, Dan Hale, Ciara Shannon. Not pictured: Bp. Allwyn D’Silva, Ann Marie Brennan, Bill Patenaude, Gabriel López Santamaría, John Mundell, Pablo Canziani, Fr Pedro Walpole. Top (left to right): Tomás Insua, Michel Roy, John O’Shaughnessy. Bottom (left to right): Msgr Josef Sayer, Amy Woolam Echeverria, Yeb Saño, Amanda Hanley. Not pictured: Lorna Gold. Board Chair Amy Woolam Echeverria currently serves as the International Coordinator for Justice, Peace, and Integrity of Creation for the Missionary Society of St. Columban (Columban Missionaries) which is a founding member of GCCM. As a lay woman with family, Amy has worked for the Catholic Church in international advocacy, education, and community development for over two decades focusing on environmental, economic, and migrant-refugee issues. Dr. Lorna Gold is Head of Policy and Advocacy in Trócaire, the overseas development and emergency relief agency of the Catholic Church in Ireland. (And is on secondment to the #LivingLaudatoSí Catholic Divestment Project until February 2019.) 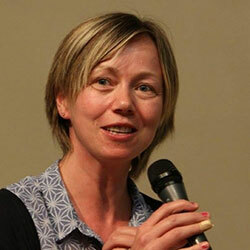 She has worked in international development in an academic and NGO policy context for over 20 years. She leads a team of policy specialists pursuing Trócaire’s advocacy agenda on climate justice, business and human rights, and development finance. She has a particular interest in the relationship between Catholic Social Thought, climate change, and public policy development. She has written and spoken extensively on Pope Francis’ teaching in Laudato Si’ and her forthcoming book “Climate Generation – Awakening to our Children’s Future” (Veritas, 2018) examines themes of motherhood, children, and climate justice. 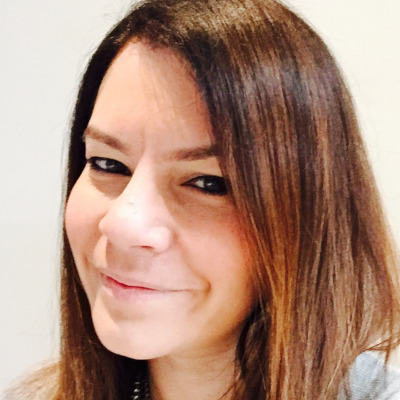 She holds a PhD in Geography from Glasgow University and is a former holder of ESRC and Joseph Rowntree fellowships in York University. 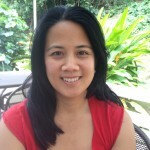 She has published widely, being the editor and author of numerous books, journals, policy reports, and academic papers. She regularly contributes to public debates on climate justice and ethical issues in Ireland and internationally and co-founded “Stop Climate Chaos” Ireland. She is originally from Scotland and is married with two children. 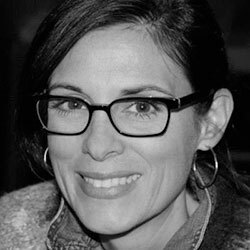 Amanda Hanley is the Co-Founder and Co-Director of the Hanley Foundation. With her husband, she helped found and advises the University of Dayton’s Hanley Sustainability Institute, the first Catholic university to divest fossil fuels. 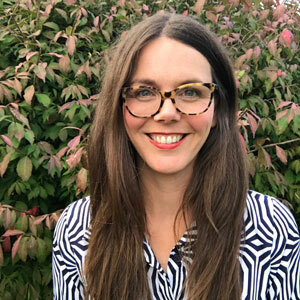 Amanda serves on the Global Catholic Climate Movement board, Loyola’s Institute for Environmental Sustainability advisory board, and the Archdiocese of Chicago’s Laudato Si’ Encyclical Working Group’s advisory circle. She’s a signatory of Divest/Invest and founding partner of the SHINE campaign to end global energy poverty. 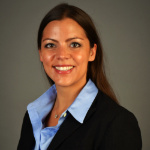 Amanda also serves on Natural Resources Defense Council’s Midwest and Global Leadership Councils, the Academy for Global Citizenship board (a green Chicago public school), the As You Sow board (corporate advocacy), and Chicago Women in Green steering committee. John has served as Chief Financial Officer for the Franciscan Sisters of Mary since 1992, with the duties of CEO added in January 2015. For the past 16 years he has served as a financial officer or advisor to several other Missouri-based Catholic congregations. John is founder of the Catholic Impact Investing Collaborative and currently serves as treasurer and a board member of the Global Catholic Climate Movement. He previously held positions in the not-for-profit health care and public accounting industries. 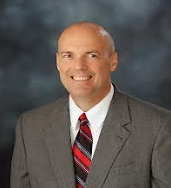 John is a licensed Certified Public Accountant and a former Registered Investment Advisor. Michel Roy has been the Secretary-General of Caritas Internationalis since 2011. CI is at the same time a confederation of over 160 national Caritas organizations and an institution of the Holy See dedicated to the fight against extreme poverty and the promotion of integral sustainable human development and social justice, educating the faithful to solidarity and the values of Catholic social teachings. His mission is to animate the Caritas family network, in relation with the seven regional coordinators; to manage a team of 30 people based in Rome, New York, and Geneva, engaged in the implementation of the five strategic orientations of the Confederation (Caritas at the heart of the Church; saving lives and rebuilding communities; promoting integral human development; building global solidarity; making the Confederation more effective); to represent the Confederation together with the President at the Holy See, at the UN and other international organisations; and to engage with other Catholic, Christian and other faith based organisations to build together more humane, fraternal and just societies. Prior to this role he served as Director of International Advocacy at Secours Catholique/Caritas France. Mr. Roy worked with Secours Catholique for 30 years. Starting in 1988 he managed the international action of the organization, travelling the world to support and advocate for the poor. Michel Roy has spent many years developing grassroots networks around the world advocating for the protection of human dignity. 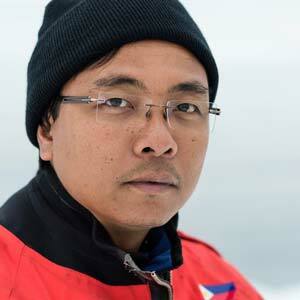 Yeb Saño is the new Executive Director of Greenpeace Southeast Asia. Yeb brings to Greenpeace nearly two decades of experience working to combat climate change. Before his stint as Climate Change Commissioner for The Philippines, he worked with WWF Philippines for 14 years. He held several roles at WWF, including leading the climate change program and serving for three years as National Director of Earth Hour. One of Yeb’s defining moments came during the 2013 UN Climate Summit in Warsaw where he was Philippines Chief Negotiator. Meanwhile, destructive Typhoon Haiyan tore apart communities in Tacloban, Philippines. His emotional speech calling for action on climate change reached hearts around the world. Fr Augusto is an Argentine priest from the Diocese of San Isidro, Buenos Aires. He is currently working as Director of Development and Faith at the Dicastery for Integral Human Development of the Vatican. The former theological adviser to CAFOD, he is an Honorary Fellow at Durham University, Roehampton University, and Stellenbosh University. Trained as a lawyer and moral theologian in Argentina, he holds a Masters in Wellbeing and Human Development (University of Bath, 2009-10), a PhD in Theology (Roehampton University, London’ 2010-2014), and has been a post-doctoral research fellow at Margaret Beaufort Institute, University of Cambridge (2013-2014). Fr Augusto has been lecturing on theology, Christian ethics and human rights since 2004 and is a member of multiple teaching societies. His area of research is social ethics and he has conducted research on environmental ethics in the light of the Catholic tradition. Fr Augusto has also been a contributor to mainstream and Catholic media on matters pertaining to Pope Francis, Catholic Social Teaching, and social Catholicism more generally. 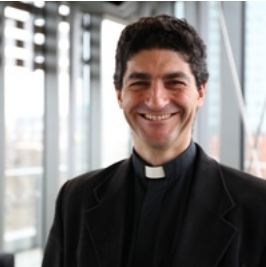 As a priest, Augusto most recently served at Holy Apostles, Archdiocese of Westminster, London and as an ad-hoc adviser to Cardinal Vincent Nichols on environmental issues. Fr Augusto previously served as an assistant priest and chaplain in different parishes and institutions in Argentina, many of them located in the poorest neighbourhoods of Greater Buenos Aires.